Sling Bead Necklace or Mommy's necklace is multi functional and really useful thing for mothers and babies. It keeps kids busy and gives mothers more free time. And finally it's great, beautiful accessory. 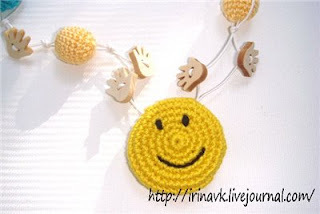 If you think what to bring as a gift for baby shower it is a decision. 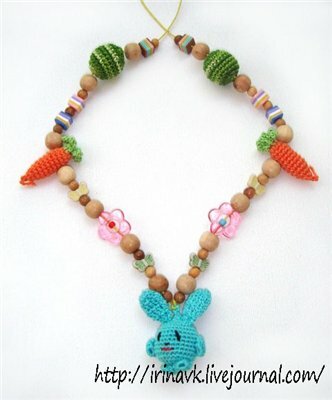 Soft beads are filled by hypoallergic holofiber and babies can chew them. 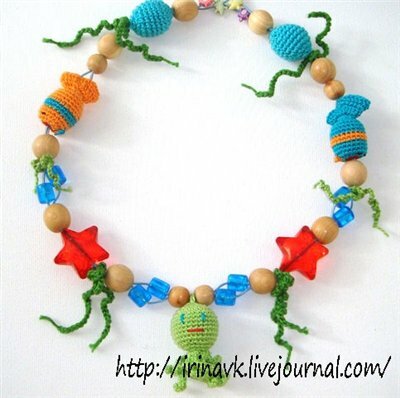 Rattling beads really are the bells covered by cotton threads. Wood beads are created from oak, maple and juniper and not just safe for babies but also have treatment features. 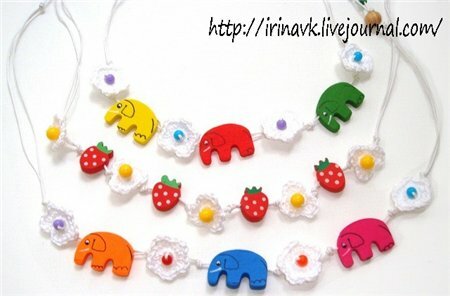 Like any other baby's stuff these necklaces are required to be washable. And they are! You can easy wash it using regular soap or any other washing languid or detergent you prefer. 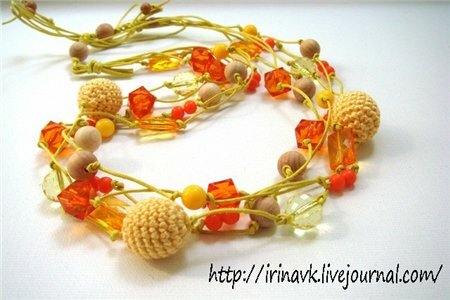 Except all above these necklaces are really beautiful and unusual. Any color, any style.... You can even create your own design and order it. 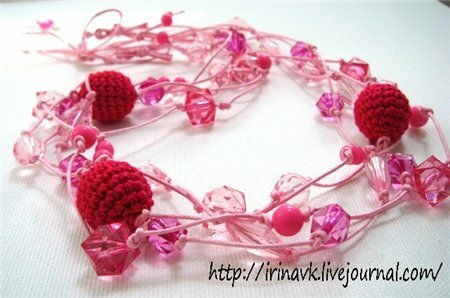 Irina (not me:)) is the master who created all incredible necklaces I showed you has thousands of other perfect accessories, toys etc. in her blog. 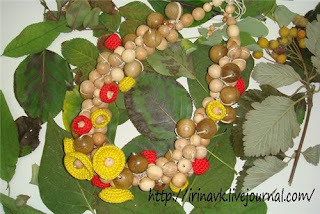 If you have questions or want to order something you can contact Irina by her e-mail.